The Savegre Tapir Project at Rafiki is dedicated to tapir awareness in the Savegre River Watershed and the Path of the Tapir Biological Corridor of Costa Rica. Through private land management, education, and on site scientific studies, ASANA and Rafiki hope to shift the paradigm of how local people view tapirs. 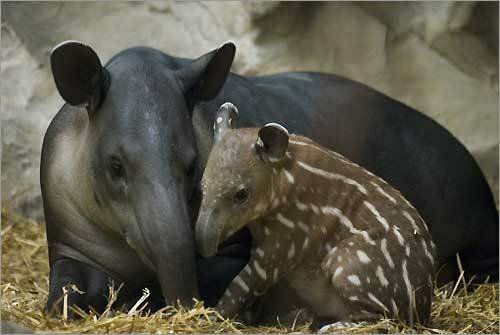 We believe that if they appreciate the benefit of having tapirs in the environment, they will be more likely to support conservation efforts and help save the species from extinction. The Savegre River Watershed is burdened with the perception by local people that conservation is responsible for diminished employment opportunities. Recent changes in forest laws, especially prohibition of logging and deforestation have caused an end to many of the agricultural jobs that formed the basis of rural economies. Many have resorted to illegal hunting practices in order to supplement their diets. Survival of mammals such as the tapir is unlikely to occur under these conditions. The Savegre Tapir Project at Rafiki is part of an international effort to reintroduce tapir into the wild in its natural ranges. The scientific data gained at Rafiki is invaluable for the future of tapir conservation in Costa Rica and globally. The project will also serve as a model for other landowners showing a sustainable business model utilizing natural resources without disrupting the intact ecosystem. Find another project in Costa Rica or in Animals that needs your help.